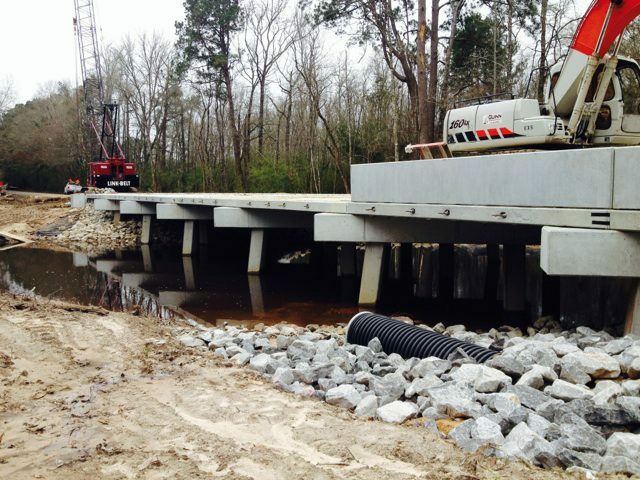 Guinn Construction constructs all types of bridges across the state of Louisiana and into its bordering states. 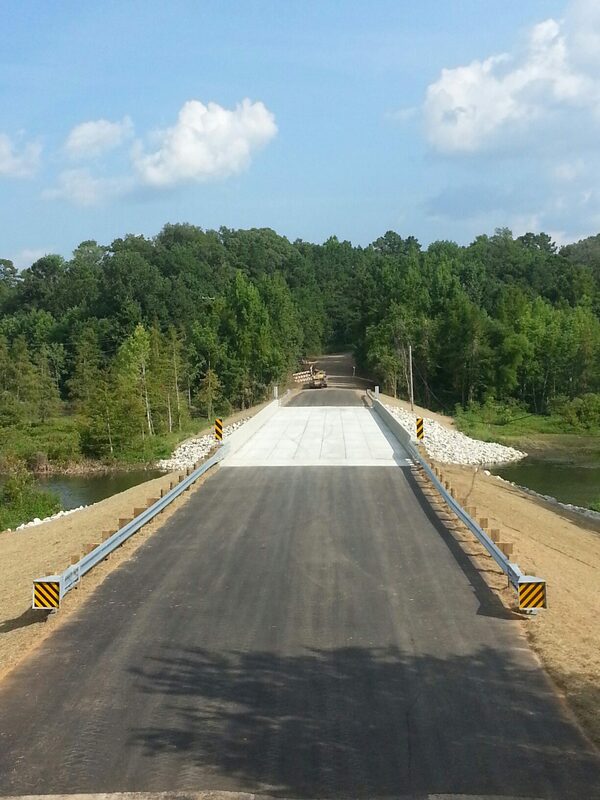 Some of the examples of the many bridges we build are: Cast-In-Place Bridges, Precast Bridges and Timber Bridges. The Cast-In-Place Bridges are mostly constructed of concrete and rebar. 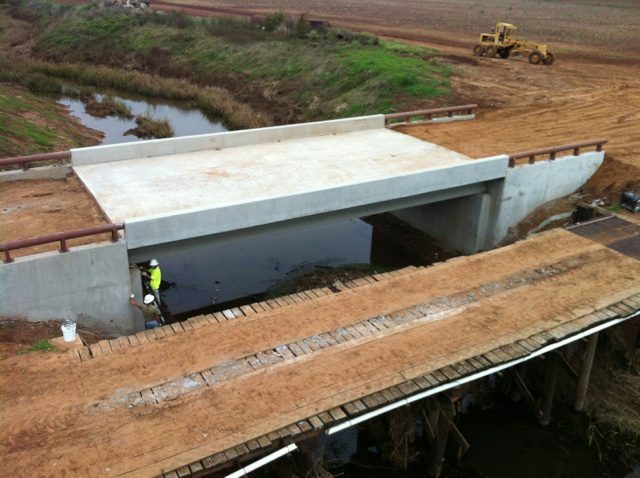 These types of bridges are formed with false work, poured onsite in its permanent location, and then the false work is removed. Cast-In-Place Bridges include concrete and steel girder span, flat deck, and quad beam spans. 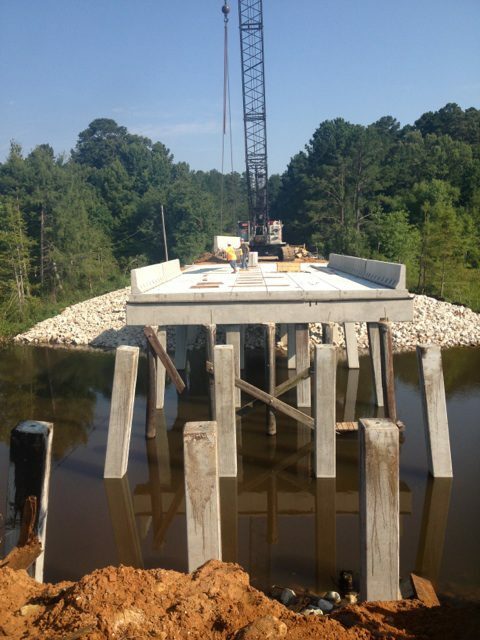 Precast Bridges are bridges mostly constructed in a fabrication yard and hauled to the site and put together on the support of the pile that are driven for the bridge. 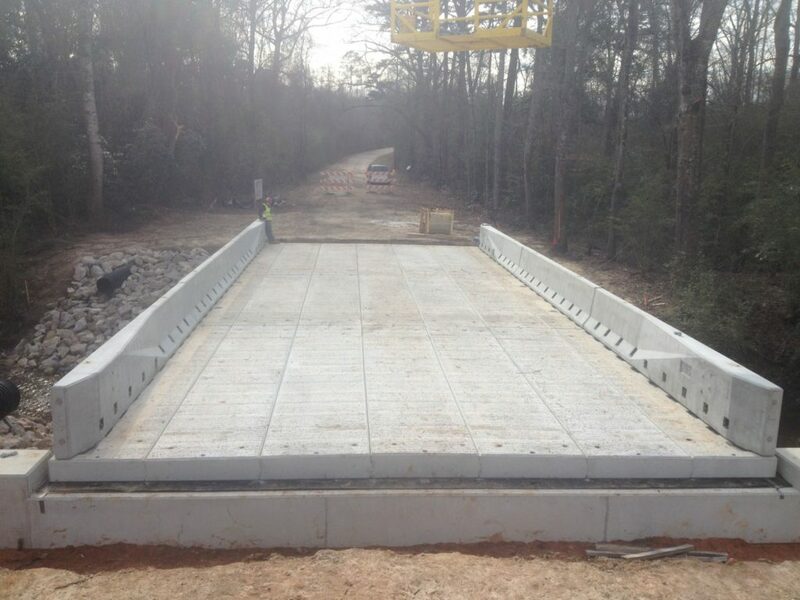 The Precast Bridges are usually used in remote locations away from concrete plants or where the owner is requiring the contractor to have the roadway shut down in the shortest amount of time. 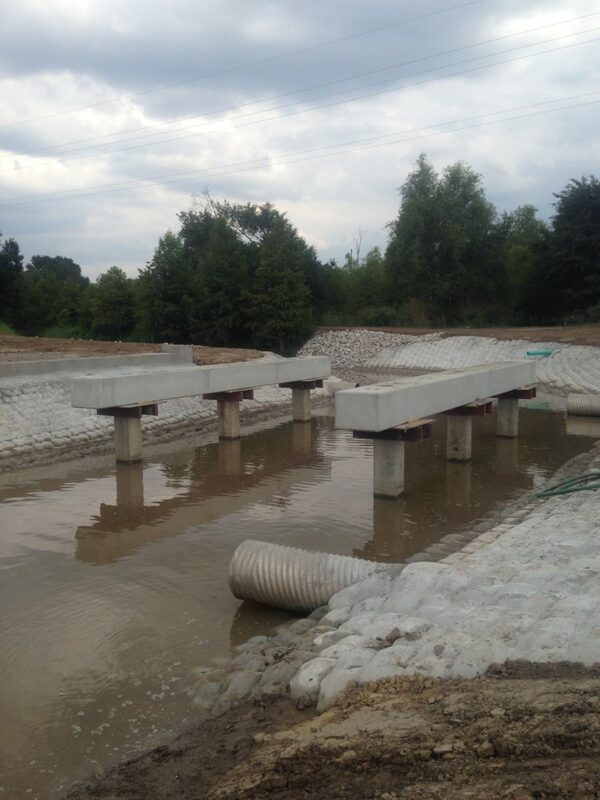 Precast bridge structures typically take a shorter time frame to construct than the cast-in-place types. Timber Bridges There are still some owners that request timber bridge structures. 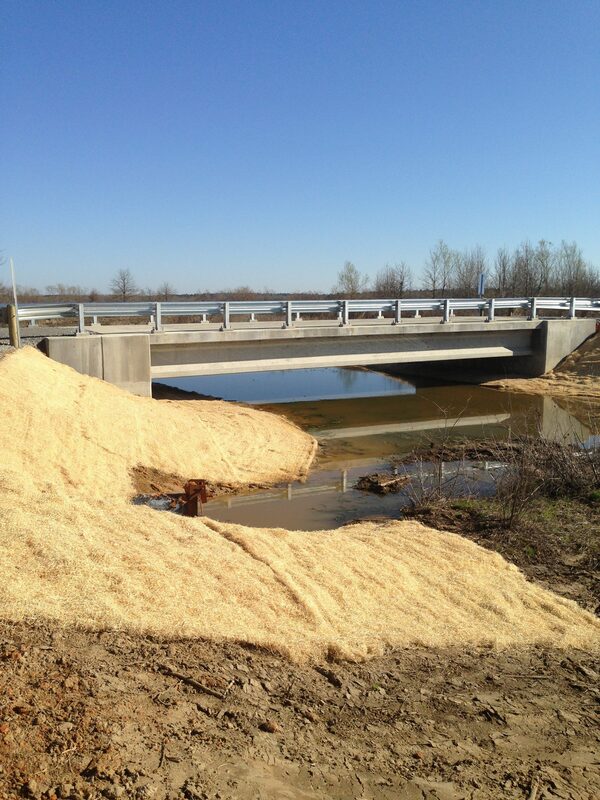 There are also timber bridge repair jobs. 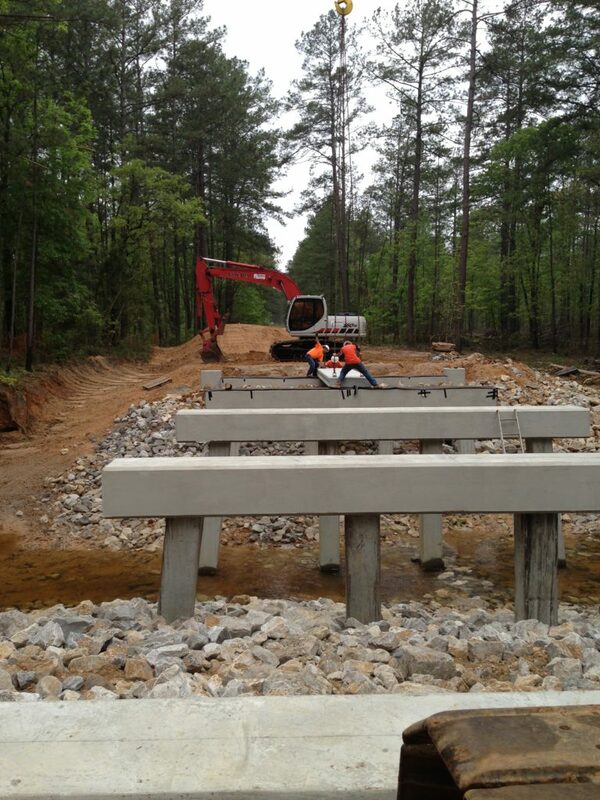 These bridges consist of all timber components, from the pile to the decking. The timber material is usually treated with CCA or Creosote. 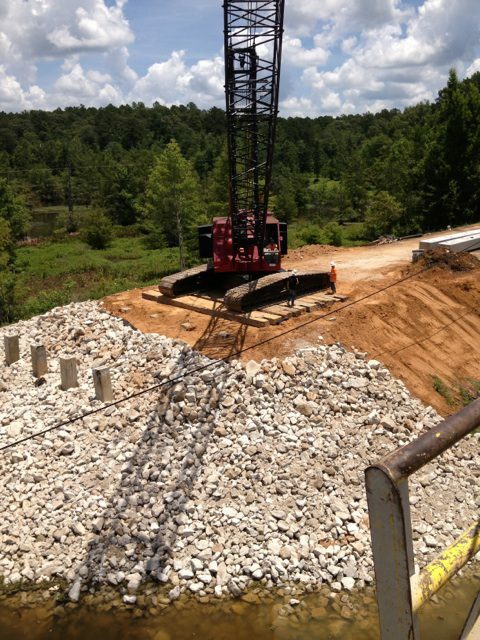 These bridges are put together mostly with manual labor. 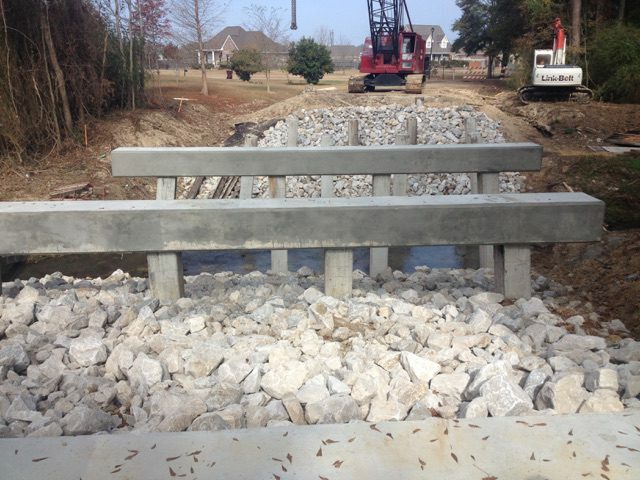 These are just some of the bridge types that Guinn Construction builds.